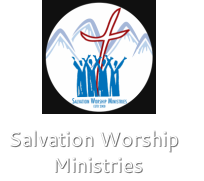 The Salvation Worship Team is the official worship team of Salvation Worship Ministries. The team is led by worship leader and pastor, Pankaj Sarkar. The team has versatile musicians and worshippers spanning from different genres of music. It is the focus of the team to give priority to God and other factors second. The worship team has been serving with various worship concerts, conferences and other worship-related programs in Nepal, India & Bhutan.